Foursquare helps people find restaurants, bars, and shops by hosting a large collection of reviews on local businesses from real customers on Foursquare City Guides. Over 50 million people use Foursquare each month to discover new places. 5starRocket is all you need to boost your online reputation and manage your reviews across all online review platforms. Find out more. 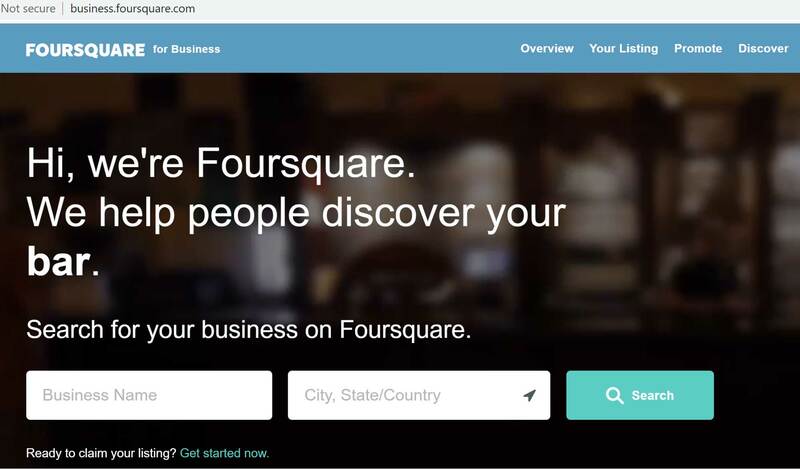 Search for your business on the Foursquare business page. Your business is likely already listed on Foursquare and this will take you through the process of claiming the listing so that you can manage your business profile. When you type your business name into the search box, you will see a drop-down menu of possible matches. If there is no match, you will have the option to create a listing. You will need to sign into Foursquare with your account details, or your Facebook or Google+ account information to complete the claiming process. It is free to claim your business listing, although there are listing and profile options that cost money. 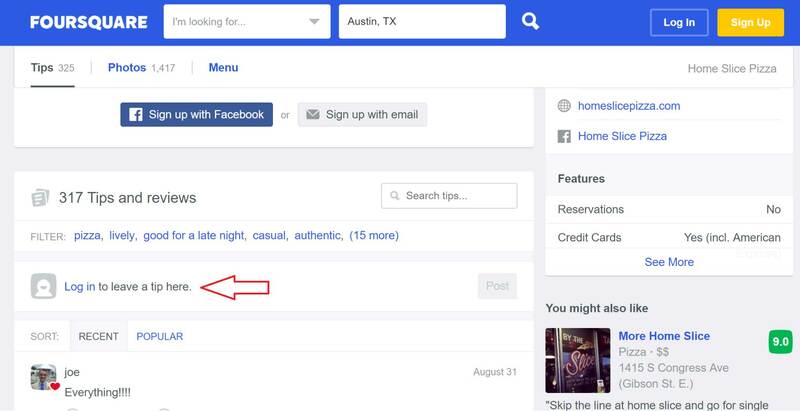 Reviewers will need to have a Foursquare account or log in with their Facebook account. The fastest way to leave a review is to search for your business by name in the search box on the home page. When they select your business from the drop-down menu, they will be taken to your profile page. On your profile page, they scroll down to the Tips and Reviews section. At the top of this section, they can enter their review and click the green Post button (if they are already logged in) or click Log In here to get logged in and write the review. Final Thoughts: People are talking about your business on review community platforms like Foursquare. Make sure you are part of the conversation with 5starRocket’s online review management. Take control of your online reputation. Find out how.